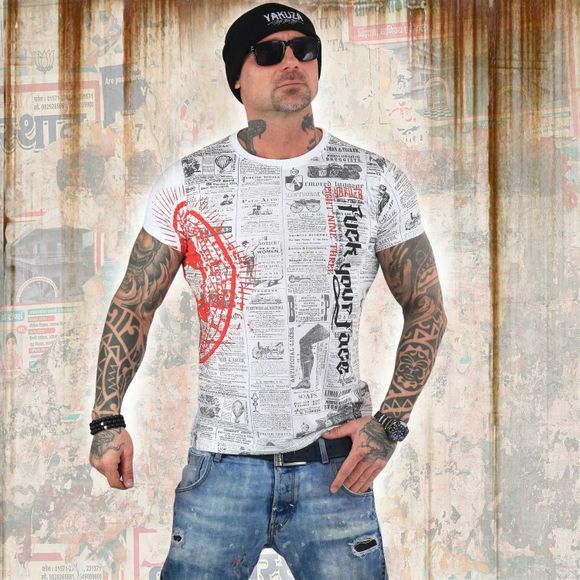 YAKUZA READ CROW men's t-shirt. A classic crew neck t-shirt featuring a cracked allover print design, finished with a Yakuza logo tab. Unique moonwashed used look. Slim fit, thats why it’s slightly smaller. Please watch out for our size specifications and the washing instructions below.